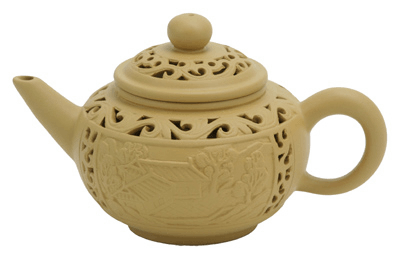 Enjoy your favorite tea with this exquisite porcelain cup set. This cup set comes with 2 teacups. 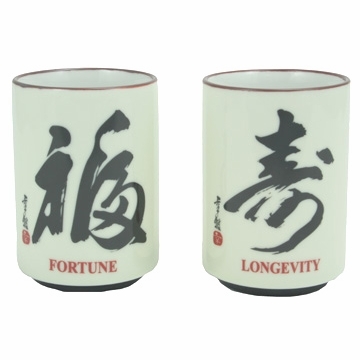 Each of the cups has a calligraphy character on them: “Fortune” and “Longevity”. This is a must have collection for the home. Made in Japan.